Imagine being able to tackle Prince Edward Island’s (PEI) streets in a modern compact sedan that can save you money on fuel. At Charlottetown Toyota in Charlottetown, Prince Edward Island (PEI), we carry a vast assortment of Toyotas in stock for motorists to test drive including the Used Toyota Corolla. Our dealership has served PEI for a number of years as one of the state’s top-ranked Toyota dealerships. 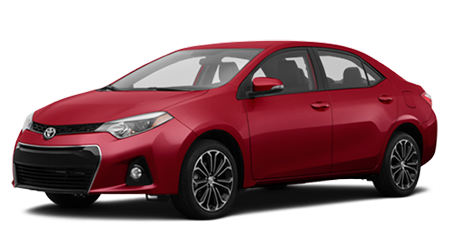 Visit Charlottetown Toyota at 1 Superior Crescent and discover a used Corolla today. When it comes to getting into a used vehicle, nothing beats a Certified Pre-Owned Toyota. A Certified Pre-Owned Corolla undergoes a thorough checklist before hitting our showroom floor. Every vehicle comes with less than 140,000-km on the clock and is less than six model years old. To ensure that the sedan is running at its best, our group of factory-trained specialists will perform a 127-point inspection on the vehicle and replace any necessary components with genuine OEM parts. Every Corolla also comes with a CARFAX Vehicle History Report and a clean title. As a Certified Pre-Owned Toyota, every Corolla comes with an extensive warranty. Each sedan is backed by a 12-month/20,000-km comprehensive warranty that includes roadside assistance coverage, as well as a powertrain warranty. The Corolla also comes with a 7-day/1,500-km exchange privilege, the first oil change at no charge and a free tank of gas. A Certified Pre-Owned Corolla is a pre-owned vehicle that you can enjoy driving on a regular basis. As one of Canada’s premier Toyota dealerships, Charlottetown Toyota is recognized for getting motorists a great deal on a pre-owned Toyota. At our dealership, we have a great finance team that is known for getting motorists an astounding rate on a used Corolla. Even if you have a less than superb credit score, our finance team will work with you to secure an outstanding loan on a vehicle. Before paying Charlottetown Toyota, visit our website and complete a finance application. This available tool and our experienced finance team will get you home in a used Corolla today. If you’ve been looking for a modern compact sedan that can provide you with a pleasant ride on a regular basis, then check out a Pre-Owned Toyota Corolla. A used Corolla has the same versatility, interior features and modern styling as a new model, but doesn’t have the new car price tag. Come by Charlottetown Toyota in Charlottetown, Prince Edward Island (PEI), at 1 Superior Crescent and explore a pre-owned Corolla today.